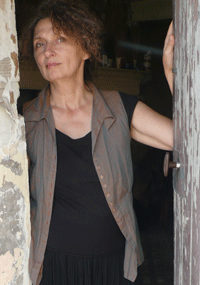 Alla Avilova is a writer involved in presenting of contemporary spiritual quests in Russian literature. Born in Russia, she took her degree in Russian Literature at the University of Moscow. Since 1979 she has been living in the Netherlands. She was co-publisher of Koörddanser, a Dutch magazine focused on human self-development and contemporary spirituality. Her first novel Revelation of Fire about an intriguing Russian manuscript was reprinted three times in Russia. The book will be released in English by The Permanent Press Publishing Company in September 2008.